The crew of USA Network’s Burn Notice – Bruce Campbell, Jeffrey Donovan, and show creator Matt Nix say farewell in a bittersweet “final” conference call with the Press. Last calls are always sort of bittersweet. I’ve been fully down with the Burn Notice crew since the beginning. They’ve always been great to work with, talk to and very generous with their time. We’ve had numerous conference calls with them over the years and visited the set – I still love Gabrielle’s gigantic sheep dog. This week (Thursday 9/12) is the final episode of Burn Notice ever – and it doesn’t seem like it’s going to end well. It’s ironic that I asked one of the very first Burn Notice questions during their first conference call (before the show even aired) and now at the end, I get the last question. Yes, most of these are my questions – I’ll post the full 8 page unedited transcript at some point. 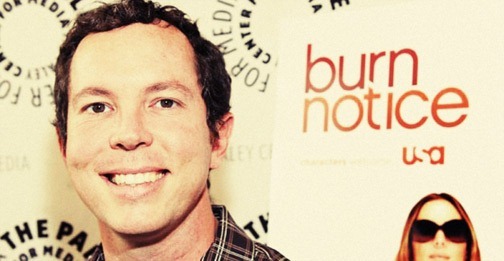 Make Like Burn Notice’s Michael Westen and Win a $10K Scholarship! 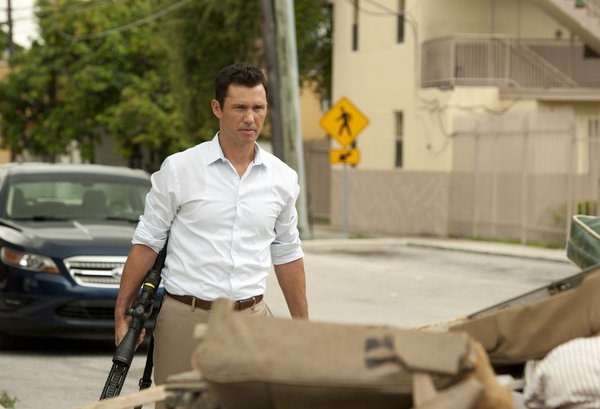 Actor/Producer Jeffrey Donovan On Burn Notice, Michael Westen’s Dark Path and Begging Clint For a Job! Burn Notice (USA Network, Thursdays, 10/9C) returns tonight with a two-hour premiere and star/producer Jeffrey Donovan spent an hour on Tuesday (on his hiatus!) talking with a groups of journalists/bloggers about his character, Michael Westen’s darker than usual path this season; how he would describe where the Westen/Fiona relationship must, logically go, and he specific responsibilities as one of the show’s producers (no, it’s definitely not a vanity title!). 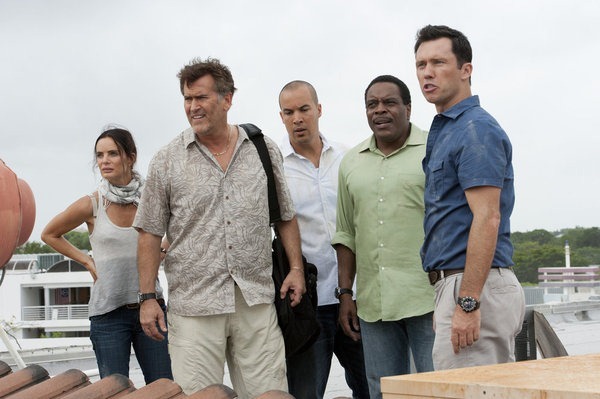 UPDATE: Burn Notice has been renewed for a thirteen-episode seventh season! Burn Notice: Catching a Ghost Has Consequences! Every time you think you’ve got Burn Notice (USA Network, Thursdays, 9/8C) figured out, its writers throw a curve – like changing Michael’s status from burned to active; like killing off one of the show’s best recurring villains (RIP Larry); like moving away from the case of the week at unexpected times; like changing up the timing on big event cliffhangers and hitting the core characters with unexpected loss; like this week’s highly irregular summer finale. Burn Notice: Gabrielle Anwar Dishes on Prison Fi, Doing Stunts and Running In Heels! The sixth season of Burn Notice (USA Network, Thursdays, 9/8C) finds former IRA weapons expert and current love of Michael Westen’s life, Fiona Glennane behind bars – voluntarily – to free Westen from the dastardly machinations of psychopathic former CIA shrink, Anson Fullerton. Late last week, I took part in a teleconference Q&A with Gabrielle Anwar – with a number of other journalists/bloggers – to discuss this season’s unusual developments. 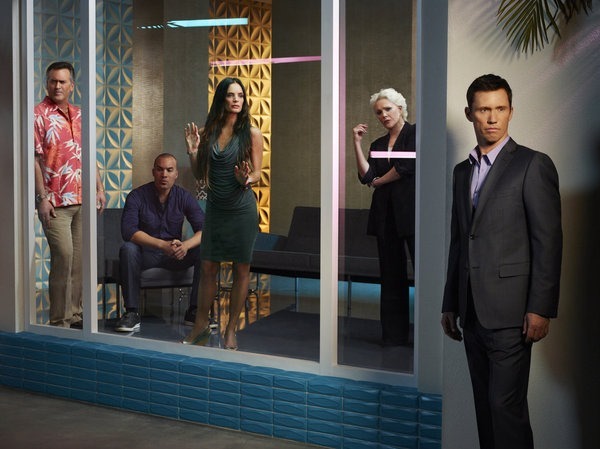 Burn Notice Explodes Into Season Six! At the end of season five of Burn Notice (USA Network, Thursdays, 9/8C), things changed for Michael Westen when his long-time love and one-woman arsenal, Fiona Glennane, surrendered to the CIA. Tonight’s sixth season premiere picks up right where the fifth season finale left off.